Seventy-two political figures, historians, and journalists offer their impressions and appreciations of Israel’s first foreign minister (1948-1956) and its second prime minister (1954-1955), after having headed the Political Department of the Jewish Agency in Jerusalem (1933-1948). 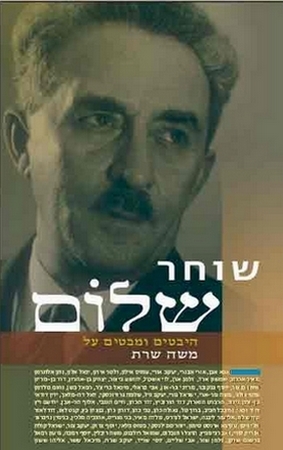 The contributors to this anthology, both supporters and critics of Sharett’s moderate and peace-oriented political philosophy and practice, together provide a rich portrait of Sharett’s personality and shed light on his various political achievements during the pre-state British Mandate period in Palestine and during the early, formative years of the nascent Jewish State. The 600-page volume includes articles, assessments, and memoirs by such diverse persons as Abba Eban, Amos Elon ("The true tragedy of his life was that the Sharett alternative was never given a chance to prove itself. "), Natan Alterman, David Ben-Gurion, Motti Golani ("The right man in the right place"), Golda Meir, Zalman Shazar, Benny Morris ("Sharett's time as prime minister can be seen as an ongoing and unsuccessful rearguard campaign. "), Yechiam Weitz ("Sharett was free of that 'power-drunkenness' that infected all the other politicians, primarily Ben-Gurion. "), S. Yizhar, and Yossi Sarid ("What might have been our fate had Sharett's international theory been put to the practical test of that era's reality?"). It is the Society’s intention to translate this book into English. We feel that it is very important for learning about Moshe Sharett as a person, a leader, and a statesman. However, due to lack of funds, this project will not come about in the near future.